The opportunity to take part in wellness events is something I really value. I shall be adding a host of events to the diary soon, so do check back regularly or follow me on social media for all the latest info. I’ll be talking at STELLA LIVE in London on Friday 10th May about how to embrace healthy eating with positivity and balance. I’ll also be signing books afterwards. As a previous columnist and huge fan of Stella magazine, I am delighted to be joining a brilliant line up of speakers for what promises to be an unmissable event. I’d love to see you there so please come and say ‘hi’. It’s well worth a visit with some amazing speakers, heaps of free treatments and goodies bags and will be an absolutely lovely couple of days. I feel truly honoured to have been invited to collaborate with Lime Wood Hotel & Spa as their resident Nutritional Therapist. It has been such a joy to get to know the team there and eplore how I can add in some of my nutritional and wellbeing nuggets (to their mini bars, restaurants, in room dining, spa and shop) to their already amazing services. You’ll now find little bits of Amelia throughout Lime Wood and I’ll be there myself throughout the year and hope you can join me at some stage. Eating well doesn’t have to mean hours slaving away in the kitchen. Simple, nutritious food can be prepared in a matter of minutes if you have the right tools and recipes. Come and join me for a friendly and informative cookery demonstration and delicious lunch in the Backstage Kitchen to learn my secrets of fast and healthy food. With many of us choosing more plant-based meals or making the complete switch to a vegetarian or vegan lifestyle, it’s a great idea to ensure we are consuming all the nutrients our bodies need for optimal health. This full-day workshop will give you all the information and inspiration you need enjoy a balanced and nutritionally complete plant-based diet. As harvest nears, and the long summer days start to drift towards autumn, come and join me for an informative cooking demonstration on abundant autumnal batch cooking, followed by a seasonal lunch and Q & A session. Through a series of enlightening talks, cooking demonstrations, delicious shared meals and lots of friendly advice, we will explore what it really means to ‘eat well’, and how to go about doing so within our increasingly busy lives. They day will cover topics including Mindset and Eating, Blood Sugar Management and Positive Nutrition. 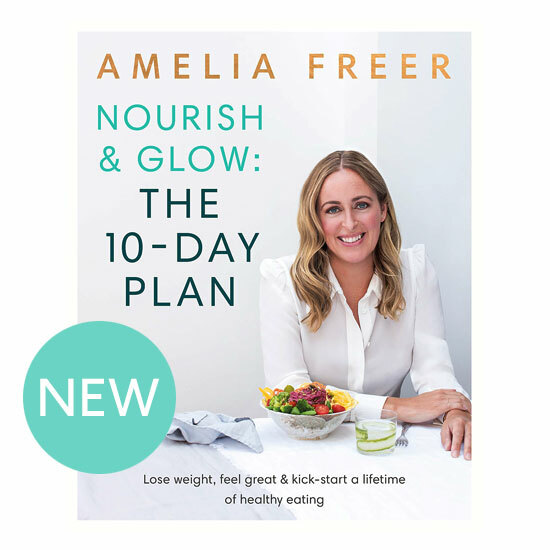 You’ll leave at the end of the day with plenty of empowering knowledge and tasty recipes, as well as a lovely goodie bag and exclusive 4-day meal plan to help take all you have learnt straight into your own kitchens.